Those who wish to build muscle mass and understand the very real dangers of steroid use (including deadly health issues such as heart attack and cancer) often continue seeking a safe alternative, and are captivated by natural bodybuilding supplements that claim to increase muscle mass without any adverse side effects. Most in such a situation are not achieving desired muscle growth, and therefore feel as if their only chance to boost muscle gains is to experiment with the vast array of bodybuilding supplements that will provide added progress. There are two very important points to consider before traveling down this supplement trap, one being the safety of such products. Often, and this is very unfortunate but true, because of loopholes in labeling laws, supplement (and food) manufacturers can claim a product to be natural simply because an additive is derived from a natural source, which allows a supplement or food manufacturer to label the product as such, even though the ingredient has been modified to actually provide a response within the body far different than what is possible in its natural occurring state, which puts health and well being at risk. The body does not know how to properly digest and utilize ingredients that have been modified from their natural occurring state, and, as just noted, often foods and supplements that claim to be natural actually contain ingredients that are anything but. When the body encounters such additives, there is the potential for cancer formation (since often cancer develops due to the body not having the capacity to utilize a certain food, drug or supplement), and there are of course other health risks outside of just cancer, because the body processing a substance that is outside of its true natural environment can lead to dysfunctions of digestion, the cardiovascular system, organs, etc, which makes the search for safe, natural bodybuilding supplements fruitless at best. Secondly, those who feel tempted to experiment with supplements are doing so because of a dissatisfaction with muscle building results, and the vast majority in such a situation are making serious diet and weight training errors that prevent the body from achieving its natural genetic potential. This is why supplements become so appealing, as they provide what seems to be a fast, safe solution to a muscle building plateau, but in reality, the hype far exceeds the results they provide, and there is a great potential for serious health issues for the reasons stated in this article. Natural muscle building supplements are what many who pursue bodybuilding spend much of their time seeking, as those who understand the deadly risks of steroids and wish to avoid all performance enhancing drugs hope for an alternative to maximize their own natural genetic potential. The best supplement is the one that is most often overlooked and misunderstood, and one that cannot be found on a health food store shelf, nor will be advertised in a pro bodybuilding magazine. The best natural muscle building supplements are found in the supermarket, and involve the proper bodybuilding diet foods for massive muscle gains. Those who use steroids can virtually eat any food combination and still build large, defined muscles due to their abnormal, drug induced hormonal profile, but those who attempt to maximize their own natural genetic limits must manipulate hormones through safe methods, the most effective of which is diet. It’s not simply selecting a particular food that is going to boost testosterone or GH levels, but rather combining foods in specific ways so that they manipulate muscle building hormones. The specific ratios of proteins, carbohydrates and fats can generate a hormonal response within the body, either positive or negative, which is why the diet you consume is your most important weapon in achieving the very best natural bodybuilding progress. It’s even possible that the diet you currently use causes your hormone levels to encourage fat storage as opposed to lean muscle gains, which is the worst possible scenario, but one that many experience due to poorly designed bodybuilding diet plans. Far too many falsely assume that training with heavy weights is going to automatically force the body to build massive muscles, but in reality, muscle is built in between workouts, and the food you consume is going to trigger hormonal reactions that either contribute to or detract from the amount of muscle mass the body can naturally produce (as well as the amount of fat gained or lost). Many are under the impression that bodybuilding without bodybuilding supplements produces little progress, and that the only way to build massive muscles is to invest in a truckload of expensive pills and powders. This is of course what supplement companies wish for everyone to believe, since they spend millions advertising products that generate them many times more than this investment from those who believe the intense hype. But, in reality, the reason so many turn to bodybuilding supplements is due to serious diet and weight training errors that sabotage muscle building results. 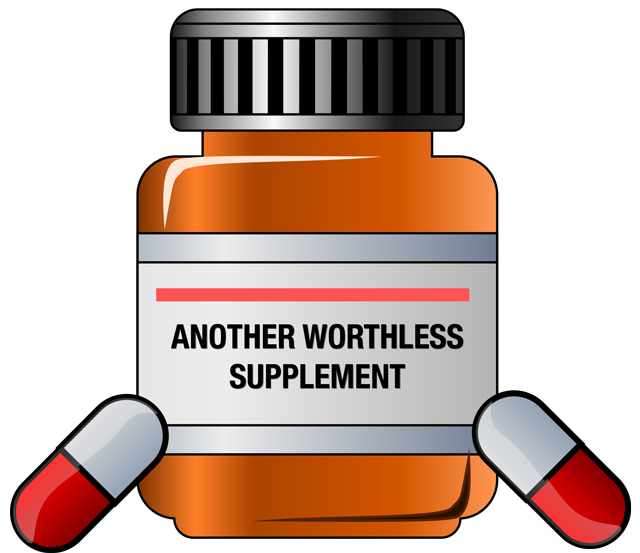 Out of frustration, anyone who isn’t achieving progress feels that they can only benefit from weight training in the presence of a pill that promises overnight success, since the advertising certainly claims this is so. It’s an easy trap for any bodybuilder, but what most find is that when they introduce these supplements into their bodybuilding workouts, their muscle gains are no better than before (otherwise the product would be classified a drug due to the side effects), and the search then continues for the real miracle supplement, when what truly controls muscle gains is the diet and weight training plan itself. So, wouldn’t it be wise for someone who isn’t achieving desired muscle gains to question their diet and workout plan? Yes, but few do, and instead choose to believe that some bottled potion will magically bring about rippling muscles. This isn’t true, but doesn’t stop millions of unsuspecting bodybuilders from believing the supplement hype, and they continue to dwell in obscurity due to not addressing the real problem. If your muscle gains are disappointing, you must change your weight training and diet routine immediately! This means abandoning what you have learned about bodybuilding (because if what you heard was true, you’d be growing, wouldn’t you? ), and learn from someone who has achieved natural muscle gains, without supplements or steroids. Yes, bodybuilding without supplements is truly possible, if you have the desire to learn how.